Creating an account with Superette is easy, we only need a couple of details then you will be on your way. You can either register with your Facebook account or an email address. 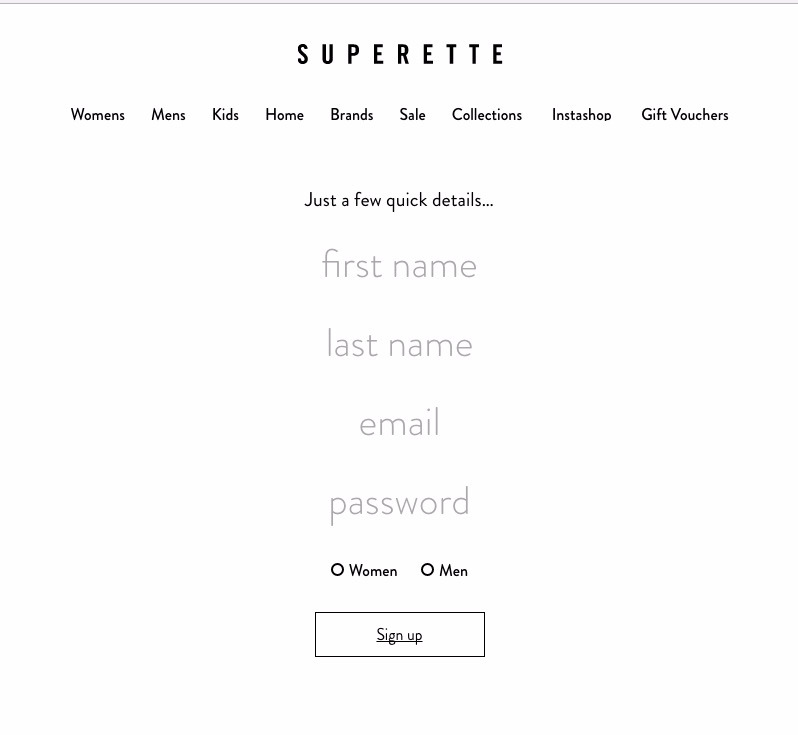 The option to create an account should pop up when you first visit Superette. If you have been here before, you can then create an account via the Login link in the top right hand corner.